"We went through the town and found it a city of huge commercial buildings and broad, handsome streets brilliant with gaslight. By night it was a sort of reminiscence of Paris. Alexandria was too much like a European city to be novel, and we soon tired of it." Mark Twain - The Innocents Abroad - 1867. Surely the inhabitants of Alexandria were flattered by Twain's comments, as they regarded Alexandria as a piece of Europe on Egyptian land. Alexandria was founded by Alexander the Great in 331 BC and it soon became the capital of Egypt under the dynasty of the Ptolemies, whose last pharaoh was Ptolemy XVI (44-30 BC), king of kings, son of Julius Caesar and Cleopatra. 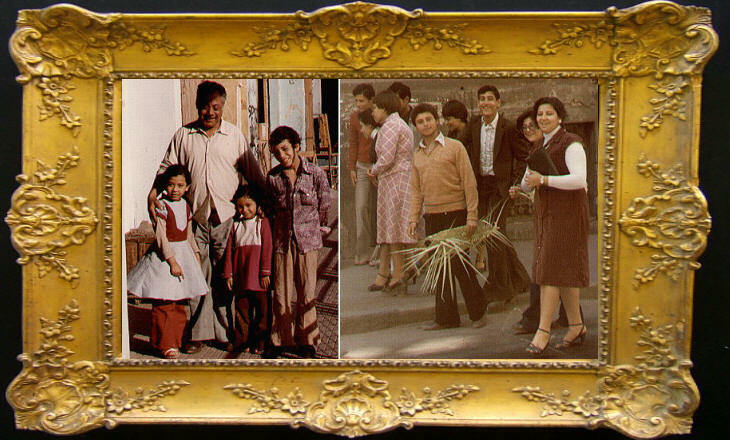 Since its foundation Alexandria had the destiny of housing a plurality of communities, Greeks, Egyptians, Jews. The second city of the Roman Empire, Alexandria had a key role in the development of Christianity and in the first divisions of the new faith. St. Mark is considered the founder of the Patriarchy of Alexandria (his body was stolen by Venetian merchants in 828). Alexandria continued to be an important trading post until the end of the XVth century, when the opening of new commercial routes between Europe and India and in 1517 the conquest of Egypt by the Ottoman Sultan Selim I, led to its decline. When on July 1, 1798 Napoleon landed in Alexandria he found no more than 6,000 inhabitants, mostly fishermen, living outside the historical city. History repeated itself when another Macedonian commander (although of Albanian origin), Mohammed Alì founded an almost completely autonomous kingdom in Egypt, which included parts of Syria and some Greek islands: thus Alexandria became again the commercial centre it had been in the past. A new canal linked once more Alexandria with the Nile. The port was restructured and this enabled handling the shipping of large quantities of grains and cotton. He opened Egypt to French and English companies, but the staffing of these activities and the urban development of Alexandria required human resources which were not available in Egypt. Large numbers of Greeks, Italians, Armenians, Lebanese flocked into Alexandria, attracted by its booming economy. The following poem by C. P. Cavafy (1863-1933), a Greek poet who lived in relative obscurity in Alexandria, re-creates the last days of Cleopatra's Alexandria and at the same time hints at the frailty of the cosmopolitan life of the modern city. king of Cilicia, Syria and Phoenicia. The Alexandrians are extremely proud of la Corniche the long sea promenade, reminiscent of Nice Promenade des Anglais, which borders the bay of the large eastern harbour. 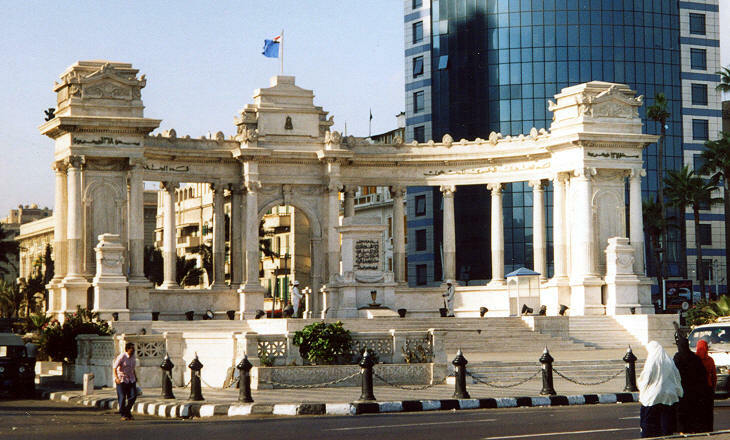 The large square dedicated to Sa'ad Zaghloul, a politician advocating Egyptian full independency in the 1920s, is one of the city centres where the main hotels are located. 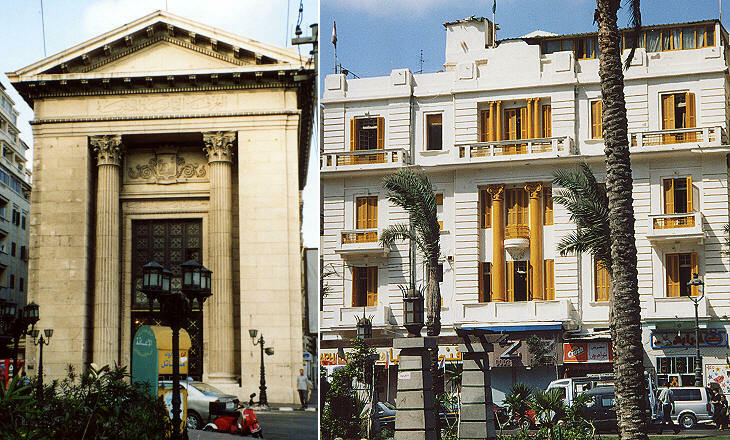 European architects played a great role in the urban development of Alexandria. 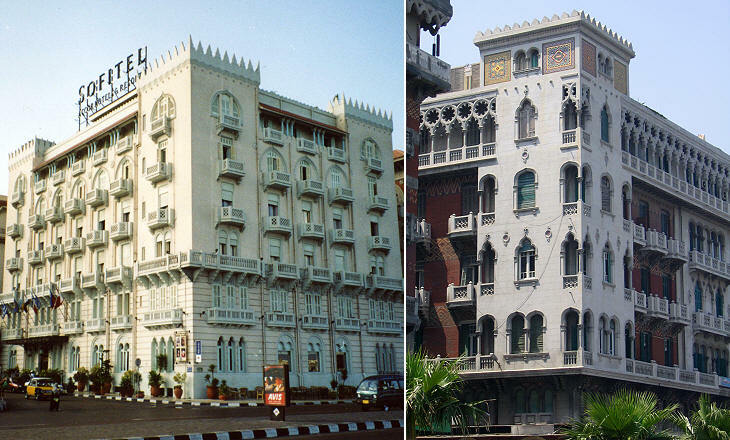 They had their own idea of "Oriental" architecture and they designed several large buildings in the so-called Moresque style, which contained elements of the Moorish architecture of Granada and Cordoba in Spain mixed with Venetian elements. Quite obviously Neoclassic models played a great role in the design of official buildings. not to mention the various Muslim and Jewish communities. Each community built its own churches, schools, hospitals in a sort of peaceful competition. 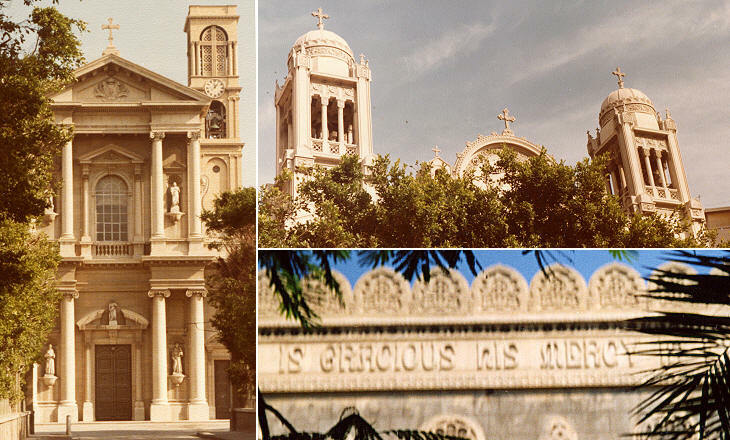 In addition to the religious communities the citizens of Alexandria were grouped according to their national origin and again they competed in building schools, theatres, consulates and in general in embellishing Alexandria. The Italians erected a monument to Khedive Ismail, who ruled Egypt at the time of the opening of the Suez Canal, and who promoted the modernization of the country. The monument brings to mind the Monument to King Victor Emmanuel II in Rome. The Non Muslims had their cemeteries one next to the other in a long alley outside the city centre. 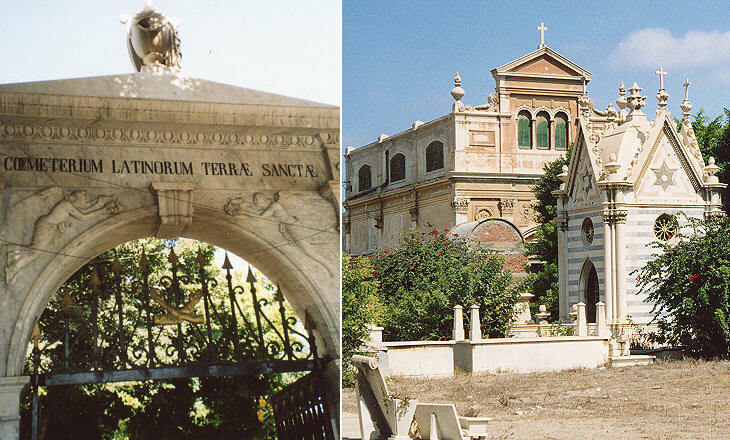 The Catholic cemetery makes reference to the Latins, the name given to the Italians and in general the people from western Europe who lived in the Levant. Neo-classic, neo-Gothic, neo-Venetian architectures mark the entrance and the chapels of this cemetery. European in appearance, but without the frenzy of European business, Alexandria had a relaxed approach to life, which was especially appreciated by the many poets and novelists who lived in or visited Alexandria (in addition to E. M. Forster and C. P. Cavafy, Lawrence Durrel (Alexandria Quartet), the Italian poets F.T. Marinetti and G. Ungaretti, the Italian novelist F. Cialente). 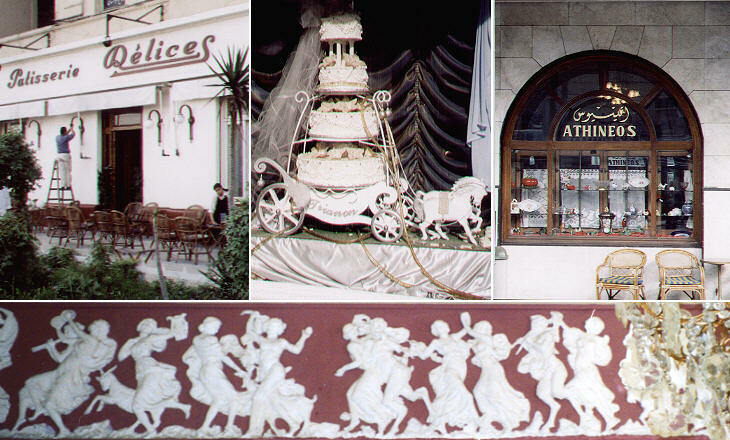 There were very many cafès and restaurants, often owned by Greeks, (the little icon at the top of the page shows a bill of Athineos Restaurant), but with names evocative of Paris (Trianon, Délices). The Mamelukes were Circassian slaves brought by the Caliphs to Egypt to serve as soldiers. They took power in 1254 and ruled over Egypt and Syria. Towards the end of the XVth century they clashed with the Ottoman Empire. 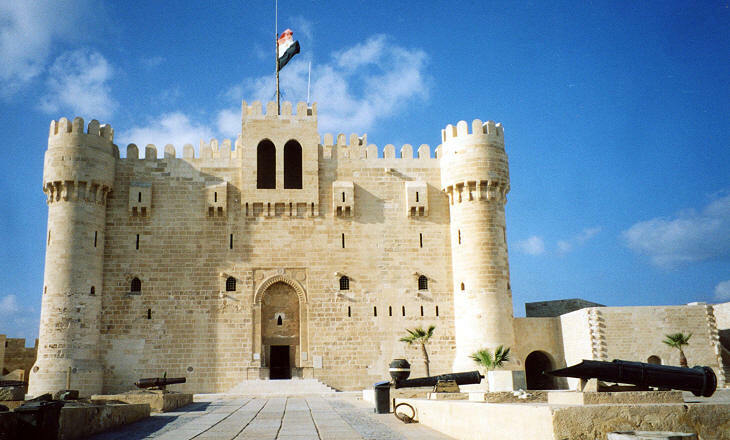 In 1480 the Sultan Qait Bey built a fortress to protect Alexandria from Ottoman attacks. The fortress was built on the site and with some of the stones of Pharos, the lighthouse celebrated as a wonder of the ancient world. Notwithstanding the fortress, Alexandria was conquered by the Ottoman Sultan Selim I in 1517. The fortress was greatly damaged in 1882 when the British Fleet bombarded it (and Alexandria) in a typical gunboat diplomacy episode. The Egyptian government has recently completed the restoration of the fortress. Unfortunately an excessive restoration which gave to the fortress a Disneyland appearance. Usually the destruction of the Library of Alexandria is attributed to Amr, who conquered Alexandria in 641, but the Library, built by the Ptolomies, set on fire in 48 BC during the fight for Alexandria between Julius Caesar and the supporters of a rival of Cleopatra, rebuilt by Anthony with 200,000 volumes brought from Pergamum, was pillaged in 389 by the Christians under the reign of the Emperor Theodosius. Alexandria has now (2003) a brand new Library called Bibliotheca Alexandrina. The two obelisks you can see in the image used as a background for this page (a lithograph by David Roberts drawn in 1838) were donated to Great Britain and the United States of America in the XIXth century. 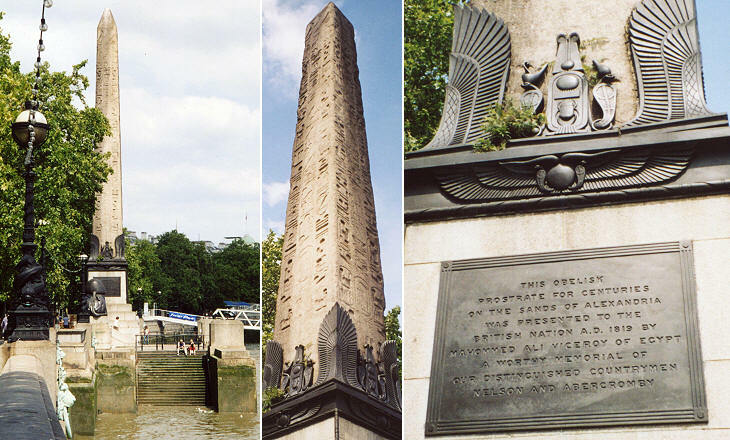 The obelisks were erected by Pharaoh Tuthmosis III in Heliopolis and were transferred to Alexandria by order of Augustus, to decorate a temple in honour of Julius Caesar, but they ended by being known as Cleopatra's Needles, maybe because the barge used to carry one of the obelisk to London was called Cleopatra. According to the inscription the obelisk was donated by Mohammed Alì in 1819, but it was moved to London only in 1878 where it was erected on the Embankment near the Houses of Parliament; You may wish to see the Obelisks of Rome. The author of this page was born in Alexandria and left it in 1953. 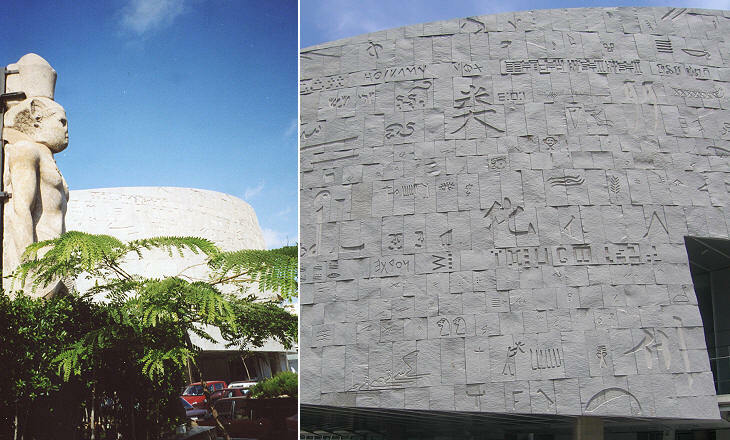 The images shown above were taken during two visits in 1980 and 2003. 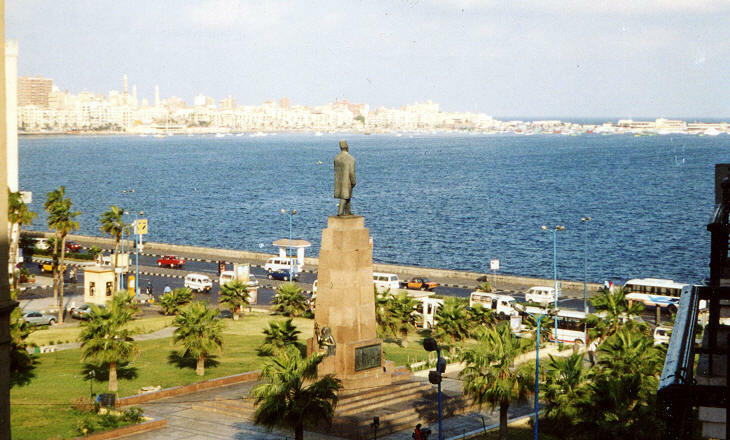 There are many web sites devoted to Alexandria, in particular Amicale Alexandrie Hier et Aujourd'hui (it opens in another window), a web site developed by an association of former residents in Alexandria.